Julian Green scored his first competitive goal for Bayern Munich as the German giants advanced in the DFB Pokal with a 3-1 defeat of FC Augsburg. Philipp Lahm pushed Bayern in front shortly after the whistle. Receiving the ball on the right, the legendary right-back nutmegged an oncoming defender in the box before firing low into the far corner. The United States international added Bayern's second just before the break -- redirecting his cushioned header of a Thomas Muller cross past goalkeeper Marwin Hitz on 41 minutes. Augsburg would not go away easily. And Ji Dong-Won halved the deficit with a strike of his own in the 68th minute. But David Alaba added the capper as the defending Bundesliga champions rolled into the third round of the competition. 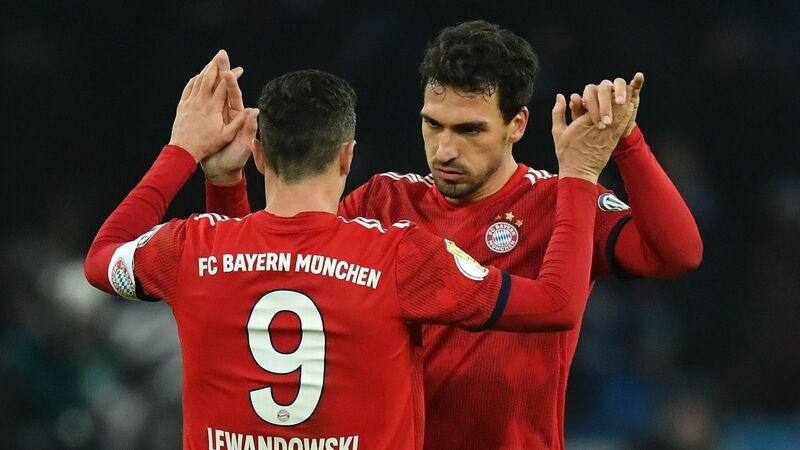 Schalke were also made to sweat, despite appearing to be cruising into the last 16 in Nuremberg, eventually beating the second-division side 3-2. Yevhen Konoplyanka's brace and Klaas-Jan Huntelaar's goal gave the Royal Blues a 3-0 lead at the break, but two goals from Tobias Kempe made things interesting in the second half. Dortmund needed penalties to overcome Union Berlin on Wednesday. Meanwhile, last year's beaten finalists Borussia Dortmund needed penalties after a 1-1 deadlock to get past Union Berlin. Thomas Tuchel's men took the lead through a Michael Parensen own-goal, but Steven Skrzybski levelled late on for the guests. There were no goals in extra-time, but Union missed their three penalties, with Ousmane Dembele, Matthias Ginter and Mario Gotze slotting home theirs to take the Westphalians through. Extra-time was also needed to separate Bundesliga rivals Cologne and Hoffenheim after Benjamin Hubner and Marcel Risse scored in normal time. The Bundesliga's top scorer Anthony Modeste then earned Cologne a 2-1 victory in the first minute of extra time. Elsewhere, Darmstadt and Mainz followed Bayer Leverkusen and Freiburg out of the cup with defeats to lower-league opposition. Fourth-division Astoria Walldorf -- the lowest-ranked team still in the competition -- embarrassed Darmstadt with a 1-0 win, thanks to Nico Hillenbrand's effort after half an hour. Second-division Furth scored a last-minute winner in a 2-1 defeat of Mainz, who had led up to the 79th minute through Jhon Cordoba's header. Finally, Wolfsburg put their Bundesliga worries to one side with a 1-0 win at Heidenheim, thanks to Mario Gomez's goal just after half-time, while Hannover put six past Fortuna Dusseldorf in a 6-1 win.